MSRP: 1390 Euro + shipping. MSRP: 1006 Euro + shipping. 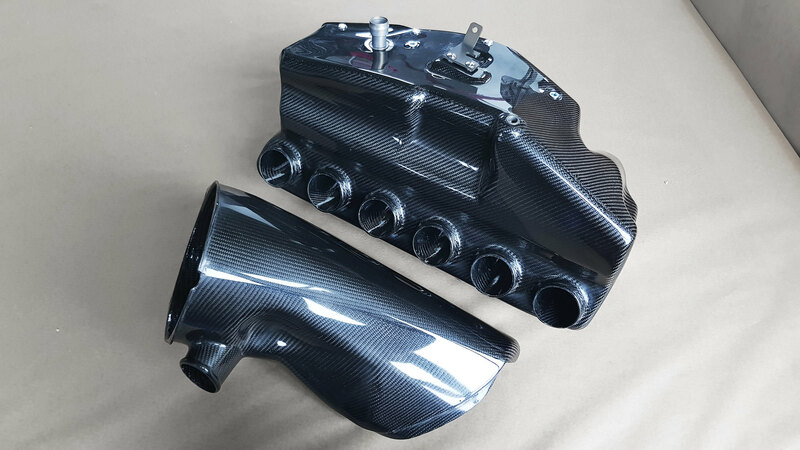 - First Pre-Edition Airboxes are expected to begin production on July 15th. - The Group-Buy will not begin until the current Bumper Group-Buy is fully completed, which is also expected to be by July 15th, everything shipped (my CF bumper included).This is NOT the "official start"! I will give you guys plenty of heads-up if you are subscribed to this thread. 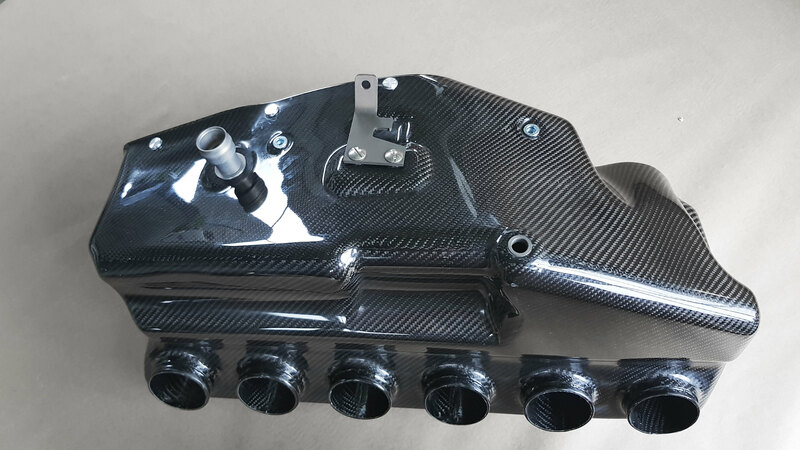 - For the first round of the Group-Buy, Streamline will be doing a smaller batch run, limiting it to 15 airboxes and will only be offering the Full Carbon version of the airbox for Round 1. - The Round 1 Group-Buy Discount will be organized accordingly: 5% off for 5 orders, 10% off for 10 orders, 20% off for 15 orders. I think we can hit 15 orders and 20% off! 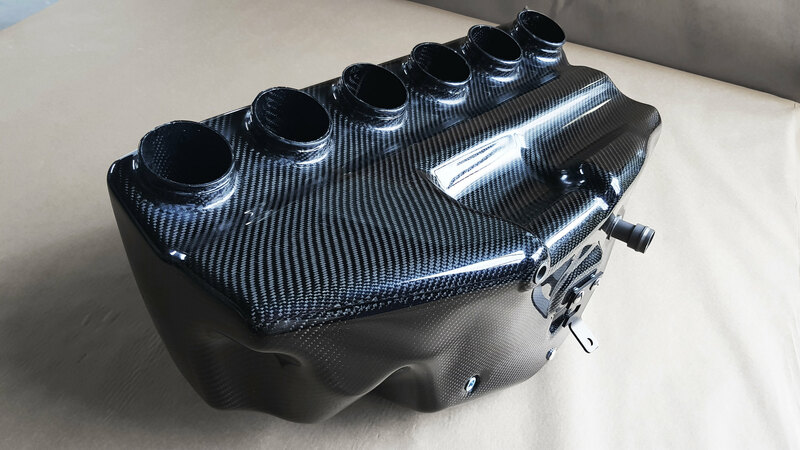 I present to the first official look at the finished prototype of the Streamline CSL Replica Carbon Fiber Airbox Production Model. A detailed video and professional photos are coming (the video is in the process of being edited as I type this and almost finished)! These are just the first photos (non-professional) of the first finalized prototype! That's right, that is the finished prototype for the production model! Some more polishing of some of the small little things will happen when the items start to ship! These are the "Teaser" pictures I received yesterday. 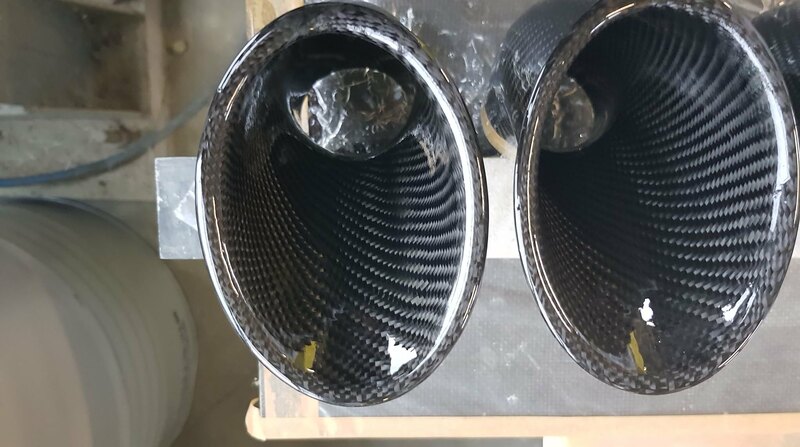 I am including them because they show the beauty of both external and internal sides of the intake runners (Carbon trumpets). 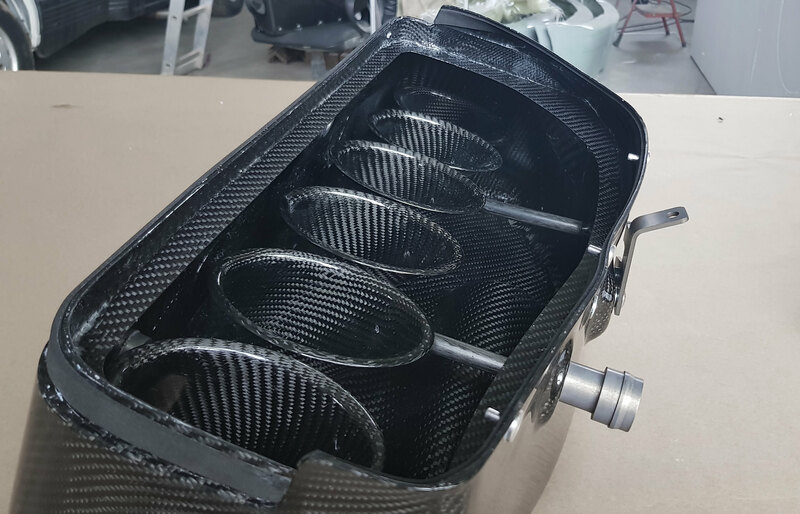 When they are installed inside the airbox, it's harder to appreciate the smooth and pristine finish that these have. 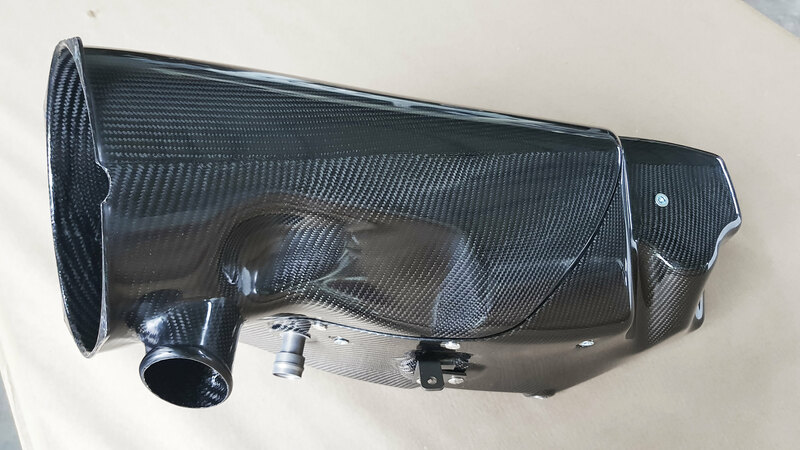 These pictures also show the luster and shine that this carbon has in direct light. 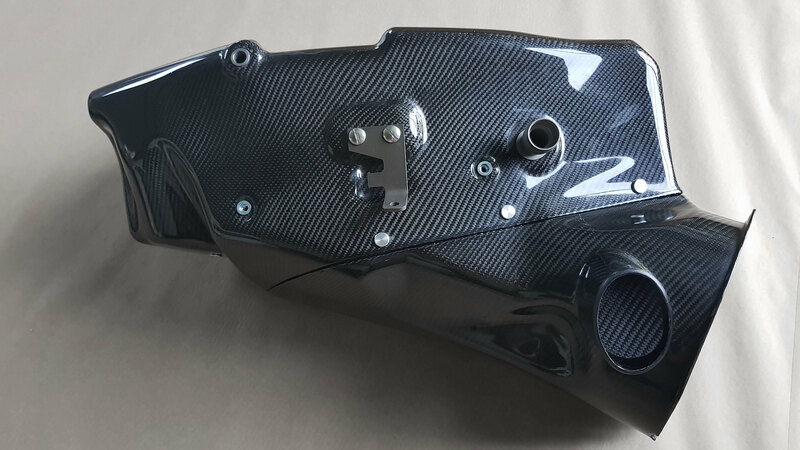 Many of the fine details and small changes that make this airbox are sublte and will go unnoticed at full glance. We have a video below that shows the airbox in real-time and at all different angles, where Antony explains all the design details, considerations, and decisions with this airbox and what makes this truly unique compared to other airboxes on the market. (At first glance, or airbox looks the same as a few others, but the physical construction and carbon layout is truly unique -- Enjoy the video. 1. 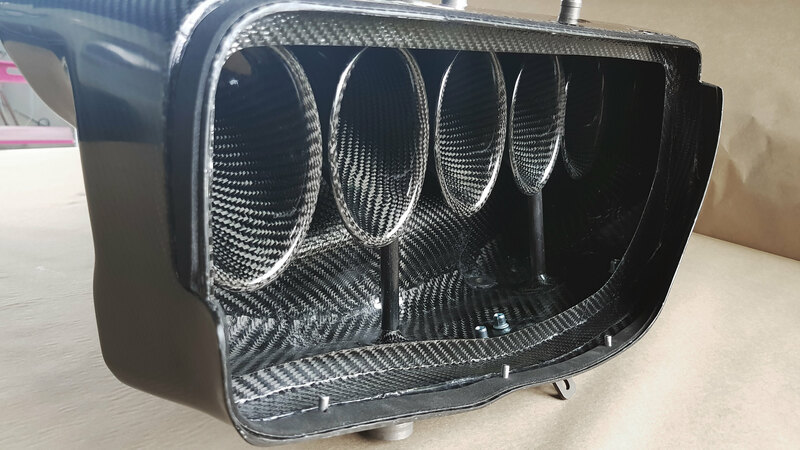 The hardware in the photos that connect both halves of the airbox. Let us know your thoughts on this. We can include a wide variety of hardware options. 2. You will also note the unique placement of the IAT sensor bung. This spot was chosen because it is easy access, it's behind the filtered section of the airbox, it's behind the trumpet's closer to the combustion chamber (more accurately measuring the incoming air temperature into the combustion chamber, and it is placed in an area that will not in anyway trip air flow. We are testing this spot. If it works out -- Fantastic. If it's not an ideal location, we can easily move it to a new location without needing to change the mold-- That is no problem either. We can place it where ever we want. This is why it's a prototype, so we can figure these things out. More to come about the Group-Buy. I hope you guys find this as exciting as we do. Super proud of how this is turning out. Professional photos to come as well. ]12/22/17: PLEASE NOTE, this is a product feeler and development thread. I do NOT expect you all to hunt through 65+ pages to find information about this product we are developing. When our product is completely finalized, produced, finished, and ready for market, I will update this OP to provide you all with ALL the necissary information and details that you will need to know (including pictures). Just be patient with us. Most of the answers can be found scattered in this thread, but once things are finished, everything you need to know will be replacing the information below. 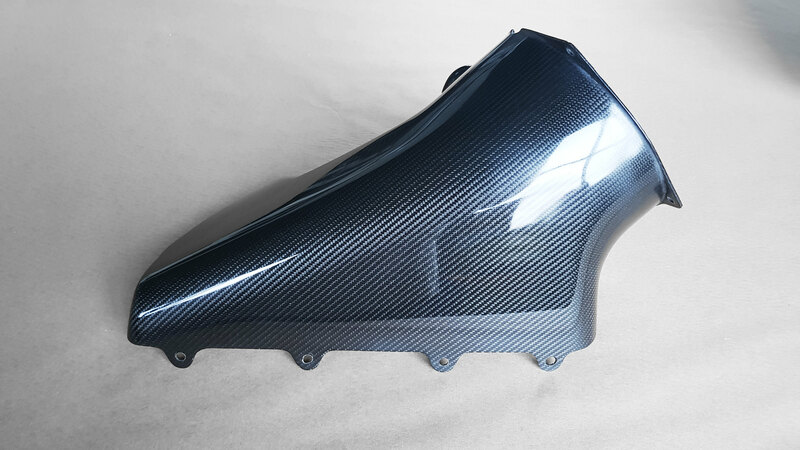 I know a lot of you are interested in the Streamline CSL CF Airbox currently in development, so I figured it was about time I start a thread detailing the development, progress, and details; much in the same way as the CSL Bumper thread documented the bumper development. Community input is welcomed and encouraged. Collectively, we as a hive-mind can accomplish more together than we can individually. 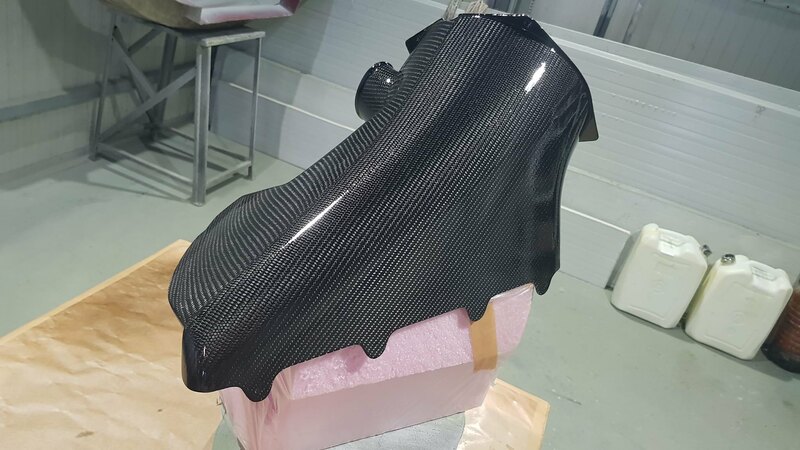 Upon taking on this endeavor, Streamline has acquired the necessary facilities to manufacture in-house, their own Pre-Preg structural carbon fiber (45 degree 2x2 thick carbon), most particularly for this application in order to control the quality of their starting material. 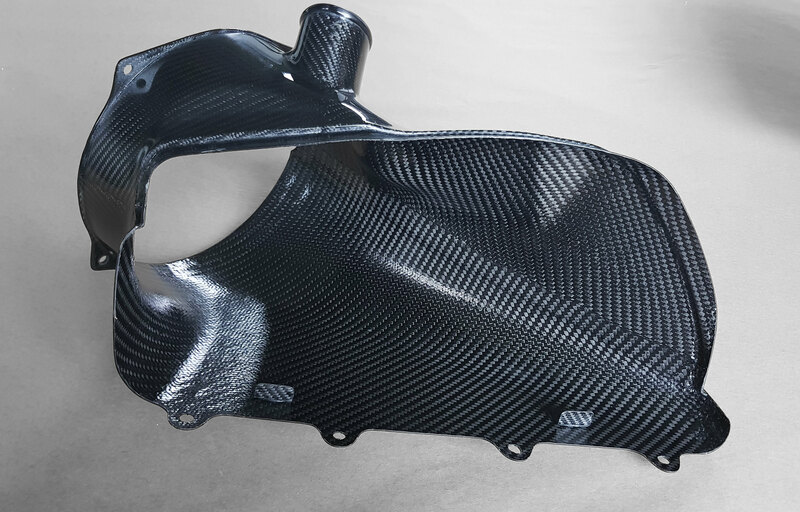 Not all Carbon Fiber material is equal and being able to control the quality of the carbon starting material is a huge deal and something I am very excited about. 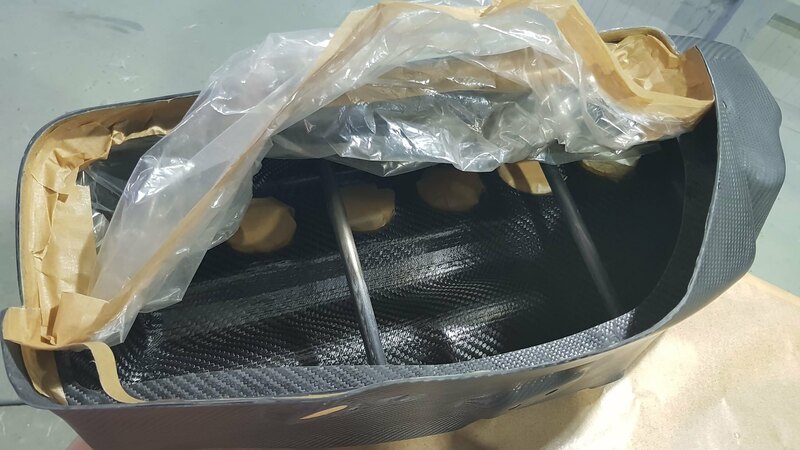 This airbox will be 100% designed, tested, reworked, and manufactured under their roof, with zero out-sourcing to ensure the highest quality end product. 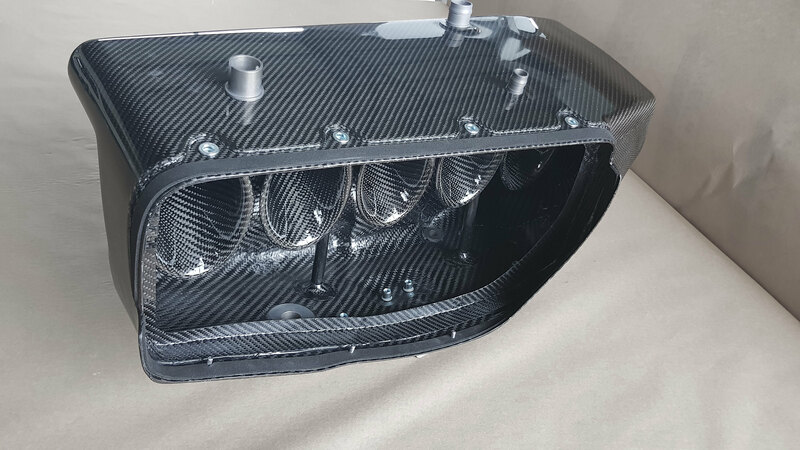 From an exterior point of view, the actual CF air plenum (airbox) will be to exact OE specifications/dimensions, utilizing 3D digital scanning software to ensure that the digital model (and thus end product) will be exactly like the original in fit and finish. 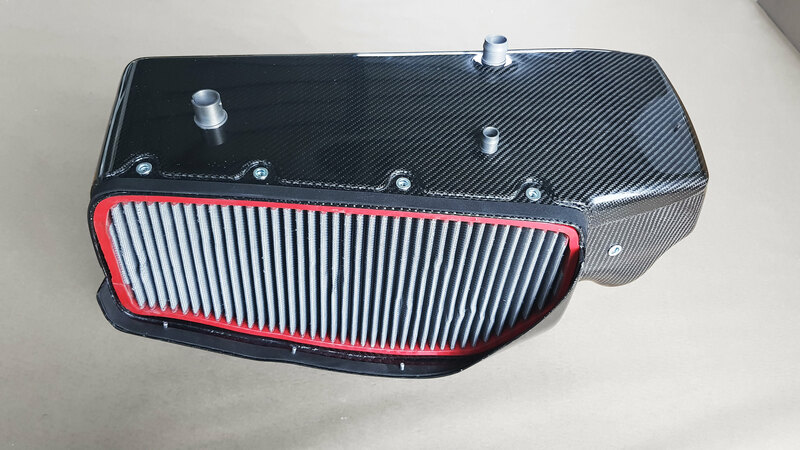 This also means an assortment of "snorkel" options will fit with this airbox depending on your preferences. 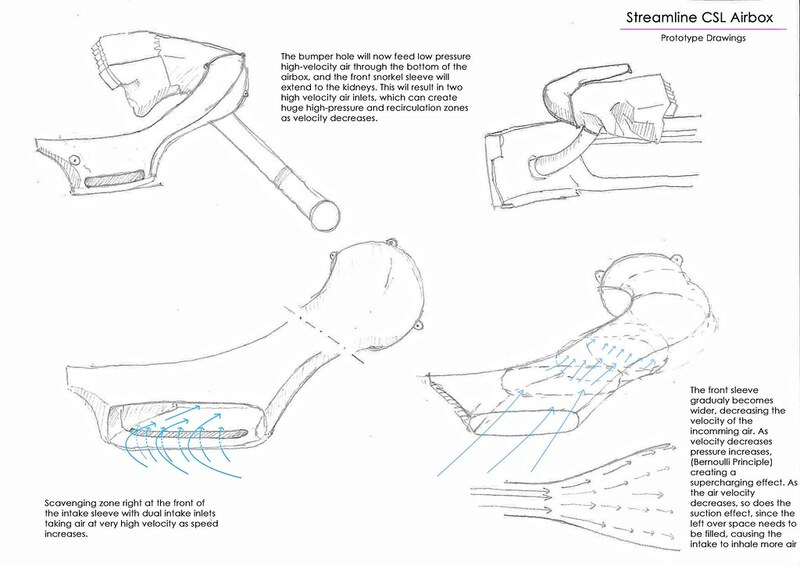 Streamline will be making their own version of the "Snorkel/flap", but an OE Snorkel/flap, Karbonius Snorkel, Evolve Snorkel, and Geoff Steel Snorkel will also be cross-compatible. 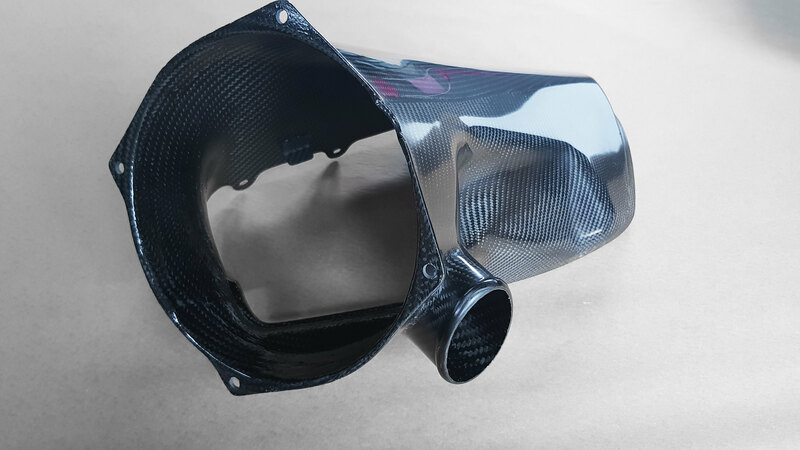 The snorkel design that Streamline is focusing on will be a more 'hard-core' snorkel option that will feed directly from the front grils and a carbon adaptation for the bottom hole of the airbox to the front bumper hole. This option will be available for those that want to extract the most power from an all motor NA build. This snorkel option will likely be released at a slightly later time since it will take extra time to fully test/rework. Within the next 3 weeks, I should have pictures of prototypes to share with you all. As of now, it is looking like there will be 3-4 different prototype variations that they will be testing. One large area of focus with this project is the internal trumpets/intake runners. 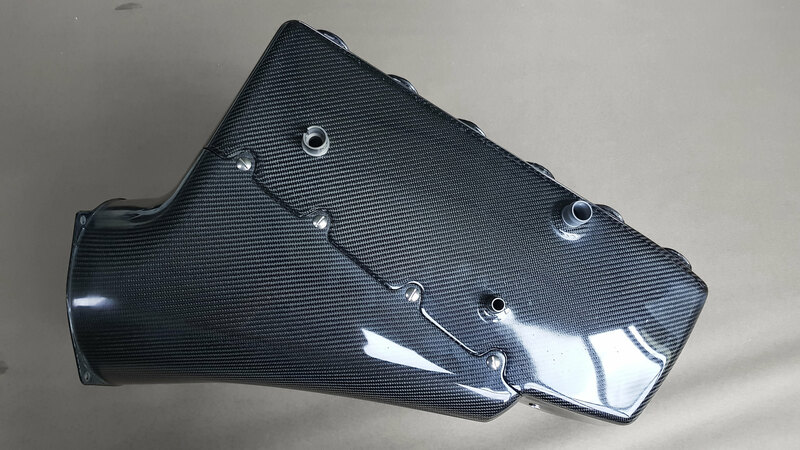 Unlike the OE CSL Airbox which uses 'heavy' plastic intake runners, Streamline will be using Pre-Preg structural CF to construct their intake runners. 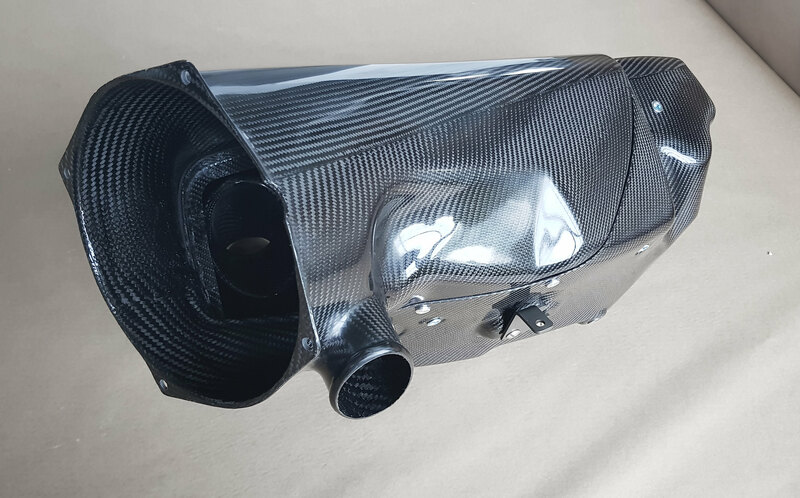 This means the intake runners will be stronger, lighter, and louder when it comes to induction sound amplification (similarly to the intake runners found inside a Karbonius or Evolve Airbox). 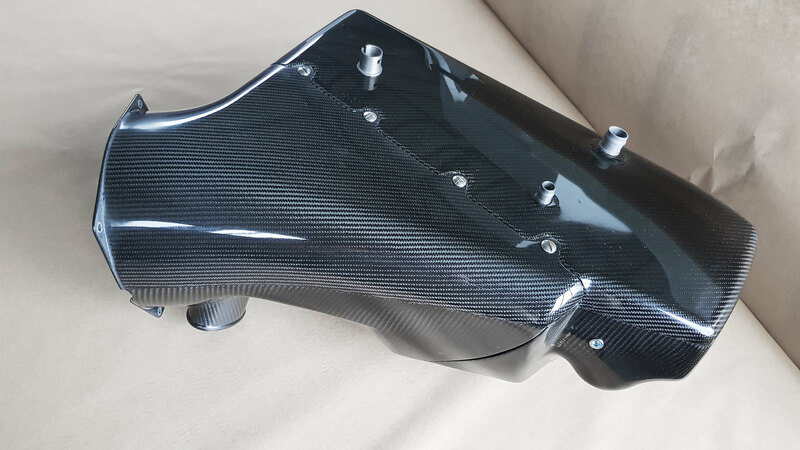 Unlike cheaper airboxes (Geoff Steele), this airbox WILL include all the CF internal brace bars to ensure that the airbox won't flex and is stiff under load. 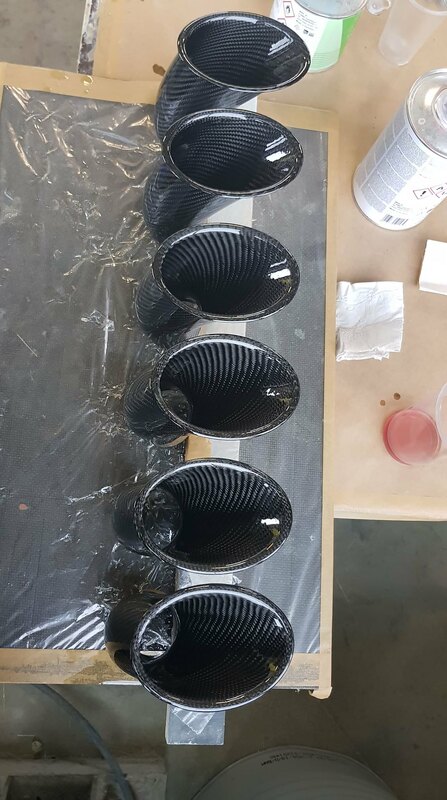 How this differs from other options on the market is that Streamline will be computer flow testing, dyno testing, and road testing different intake runner designs and dimensions. To my knowledge, they are the only guys that will be experimenting with intake runner designs. The control for this testing will be OE spec'd intake runners that these designs will be compared against. 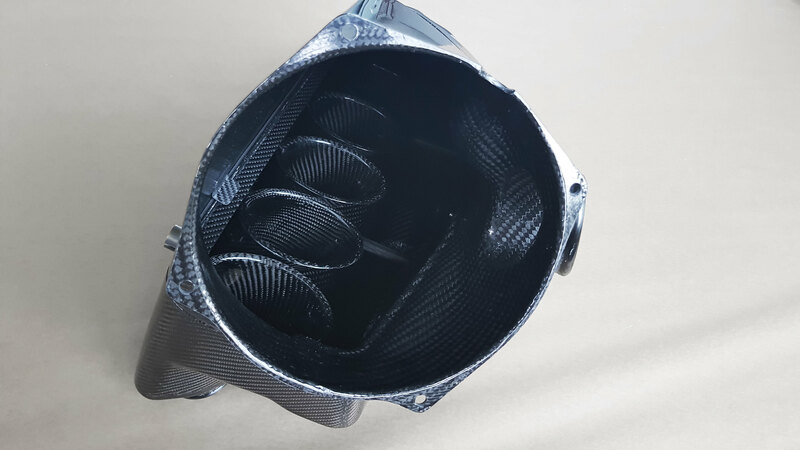 What you may or may not know is, the intake runners within the airbox are one of the most important elements in the design of the airbox, which directly impacts both the torque and power that the airbox/engine are capable of generating, and something that race teams will often take advantage of in order to fully optimize the intake for it's specific application. The Intake Runner length and its form is also critical to the engine. 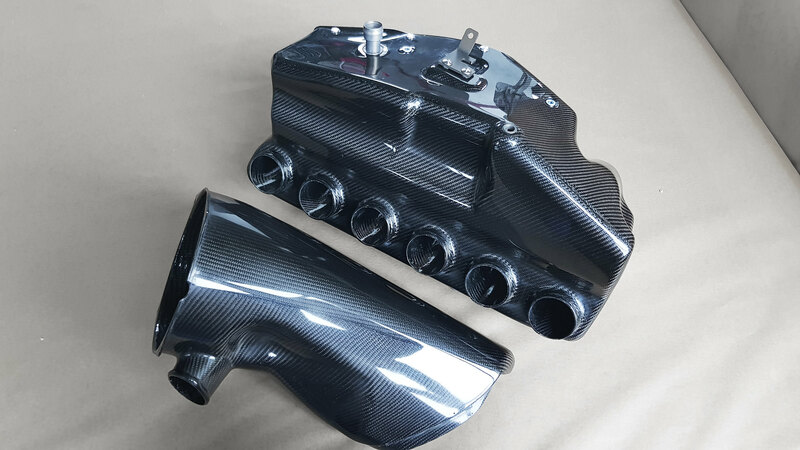 Leave those shiny Chinese Carbon Airboxes well alone !! Races where they needed to improve power Gains. This was on either 48mm TB's or 49.5mm Slides. were fitted to an S14 in an E36 Compact. and the engine Power increased by around 18/20 BHP.. 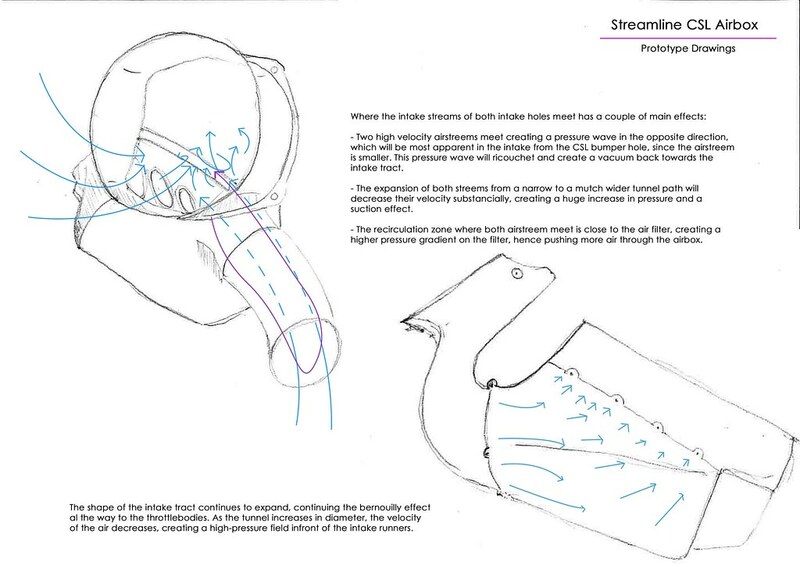 Streamline is using computer modeling/simulation software to generate intake runner designs for a variety of specific applications, which will optimize different intake runner lengths. These designs will be both computer flow-tested and real-world application flow-tested on both the road and dyno. Right now, they are looking to compare 3-4 designs to the stock CSL intake runners. I will be posting pictures of each prototype design as I receive them and will include their accompanying graphs/data charts as they become available. 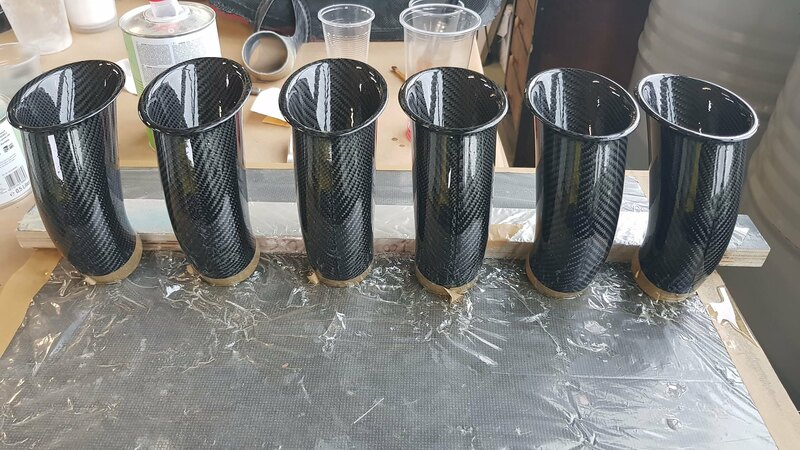 From how it is looking, customers may have the option to select which intake runner design they prefer for their individual race track application. Unfortunately, I cannot share the computer 3D models at this time (I hope you all understand). 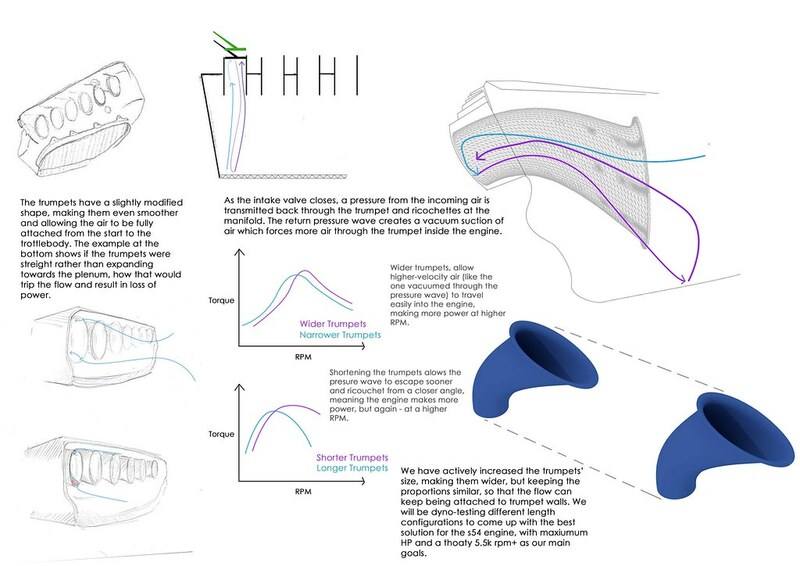 For now, I am only allowed to share some of the design sketches with you all until prototype pictures are available. 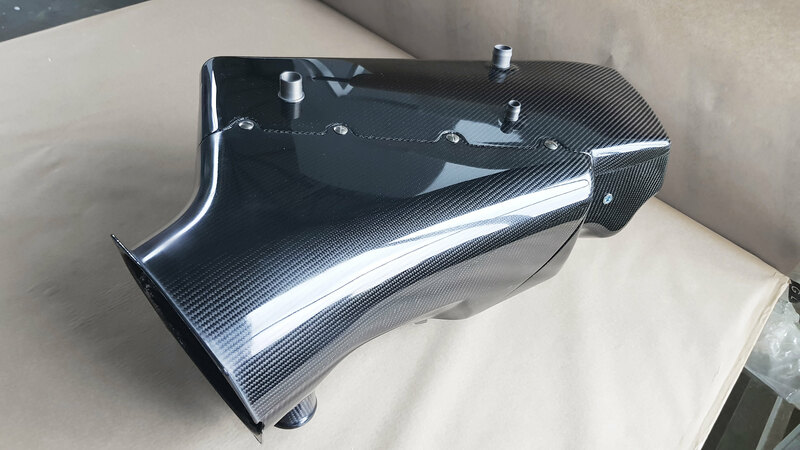 THESE PICTURES BELOW ARE NOT OF OUR AIRBOX -- THEY ARE STRICTLY BEING REFERENCED TO ILLUSTRATE THE FRONT RAM-AIR SNORKEL DESIGN WE ARE LOOKING INTO -- Many people think I am saying this is our airbox -- it is not. This design was originally produced by Goke. True Ram Air operation, supplying a highly pressurized air supply, particularly at speeds over around 100 mph where the ram - air pressurization effect is most effective. *Keep in mind, this wont be an exact copy by any means. The snorkel pictured above that feeds from the front kidney grills obviously would not fit on a car with stock fan/radiator/cooling system and thus Streamline's design will be different, but I think this illustrates the idea and intention. Once things are finalized and ready for market, look forward to a Group-Buy! Other parts that you will need for a full CSL Conversion (some of these are optional depending on how far you want to go with this conversion, your transmission type, whether you want to go Alpha-N or full Map conversion, ect.) -- All parts will be available to include in this package from us. *Feel free to search this forum/google for the pros and cons of Alpha-N vs Full CSL conversion -- There are tons of threads where this is covered! BONUS: OEM FILTER FROM BMW - 104,5 USD extra. 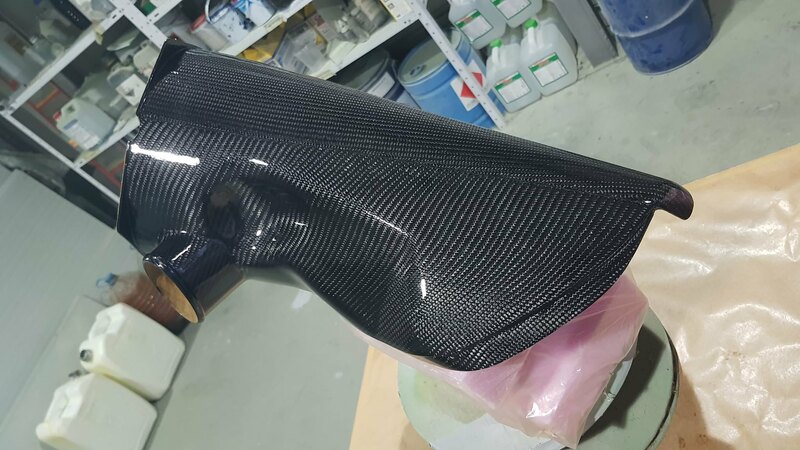 You might want to use an ITG filter or some other brand, but if you want the full package, and the OEM one, it is availiable from us! You can order also for 108,8 USD extra new HOSES OEM BMW from us, they are between the trumpets and the ITB's. These are optional, only if you want new ones! Also these might be unneaded, when we release the full box I will mention if you will even need these. These are the prices for now, as many asked for a full kit ready to mount to the car. My only concern would be for people going above the 500 USD mark for the fitting kits, whether your government wound place import taxes on these, but I will see what I can find out. I think it was 2.5% (the tax) or something minor like that if items are for personal use. I will update you guys on availiabilities of Air-Rails and all the other bits and bobs you wanted (MAP sensors). I will also see for our canadian customers, what import taxes might be, and what is the threshold. In the USA the threshold is 800 USD and arround 2500 for personal use items, which have very small taxations - like 2,5% or smthing of that nature. That is what I know so far, but anyone more informed is welcome to contact me - that information is essential to us! I'm not saying this stuff isn't nice to have or anything like that, only saying it's not essential. I realize 48 pages are a lot to read. I don't expect anyone to read all of it. I will completely redo this entire OP once both the S-Glass and full CF airbox is complete and it will include all the important information that you need to know. For those that did not see the Group-Buy Pricing. 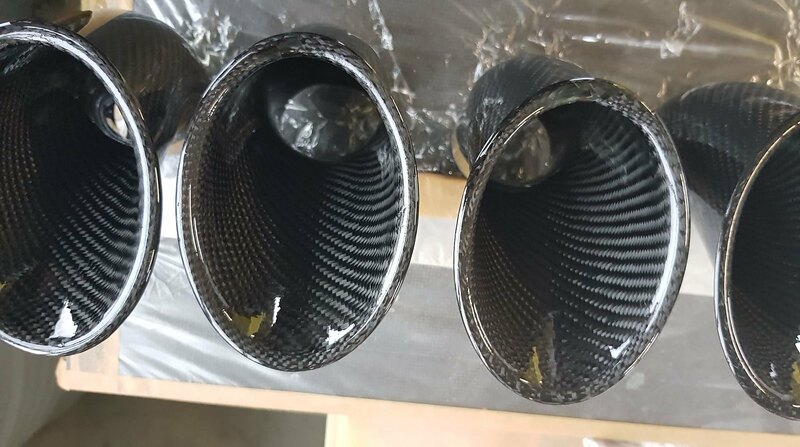 Also, when these are ready, we will need a total of 20 Airbox orders (either full CF or Woven S-Glass) for the 20% off GB discount to take effect, or 15 orders for a 15% discount. I think we should be able to hit 20. =P. Production time on these should be MUCH quicker than the bumpers, since these are made from Pre-preg. Last edited by Dr M3an M3; Mon, Jul-02-2018 at 11:48:43 PM. Will the second snorkel will fit an evolve box? Pure speculation, but I would assume it would (assuming Evolve's (or even karbonius's) box is the same spec dimensions of the the original, which they all appear to be.) I am fairly sure they are all 3D computer scanned to replicate the original. In any case, it will be easy for me to confirm once I receive mine. My friend has an Evolve box, so it would be easy for me to check the Evolve box for cross compatibility. Hoping to have a prototype to test shortly as well. Last edited by Dr M3an M3; Fri, Sep-29-2017 at 02:19:38 AM. Following. I'm excited to see what comes of this. So excited for this. 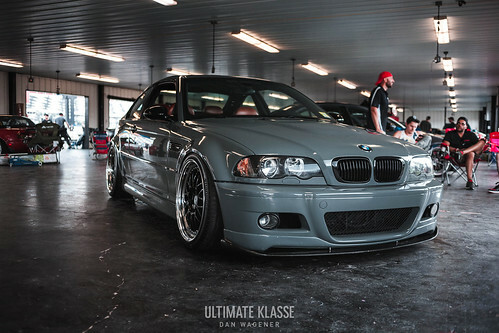 CSL box is on my short list! I think the big question is, what price range will it be set around? After you said hive mind all I could think of was this. "Resistance is futile"
So are they still creating two versions of the box? Or do these options cover both? I know they were talking about a prototype style one as well. Its a little early to tell. One of the major goals of this project (aside from performance and quality control) is affordability. Right now, there really is not an "affordable" CSL airbox option on the market. I anticipate that it will cost between 1k-1.5k for the airbox. Not sure what the snorkel will cost. 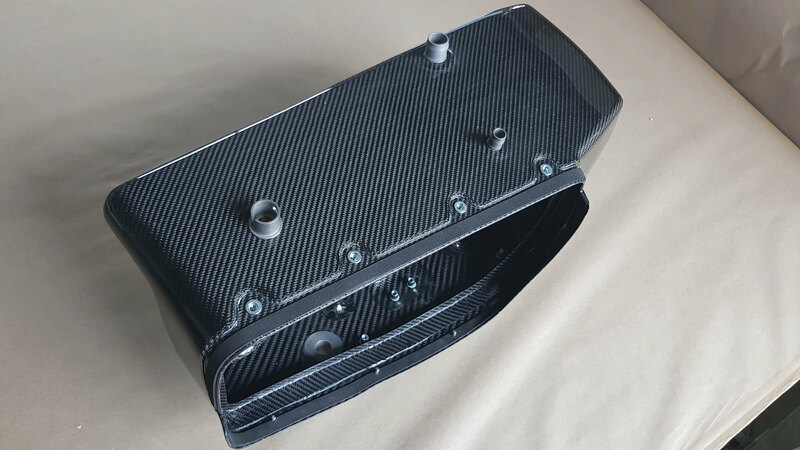 The idea is to have an airbox to compete with Karbonius's quality at Geoff Steel prices, if that makes sense. All times are GMT. The time now is 03:39:44 PM.